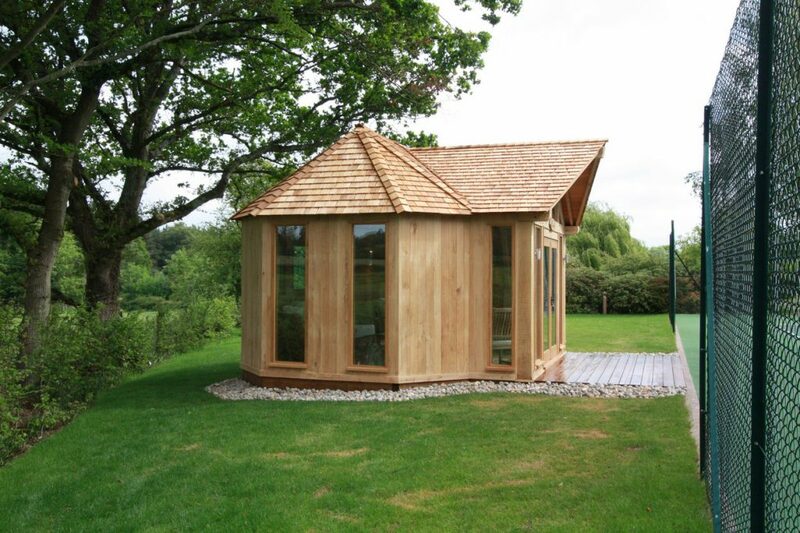 The Tennis Pavilion is a bright one-room summer house built next to the client’s tennis court. The front of the building has large windows creating a bright room with great view of the tennis court. 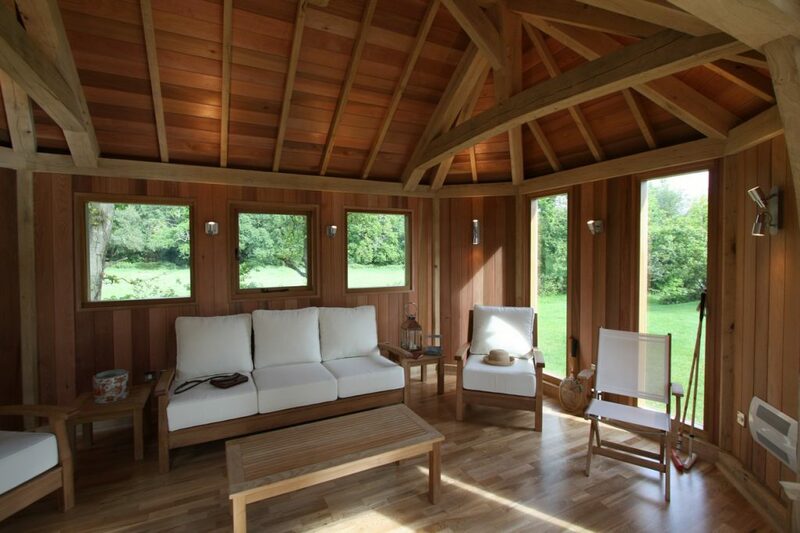 The building is Oak framed and fully equipped with electricity and heating making a lovely place to relax before or after the game! 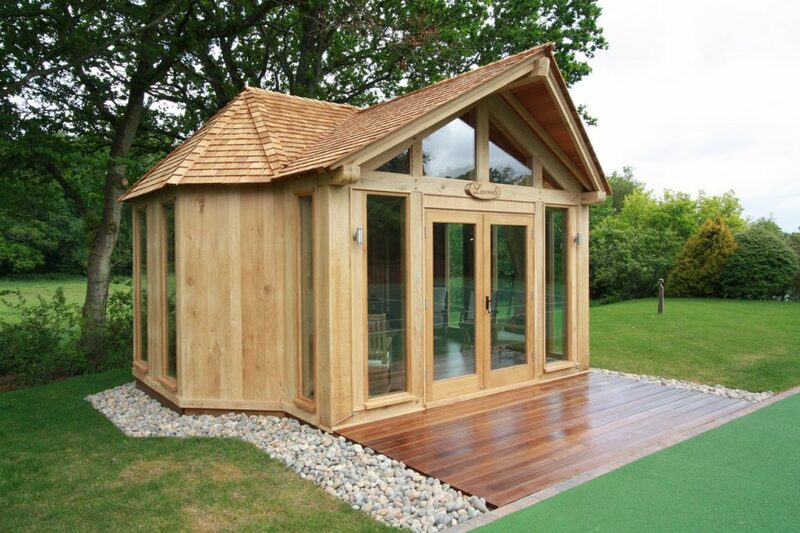 The Tennis Pavilion is a bright one-room summer house built next to the client's tennis court. The front of the building has large windows creating a bright room with great view of the tennis court. 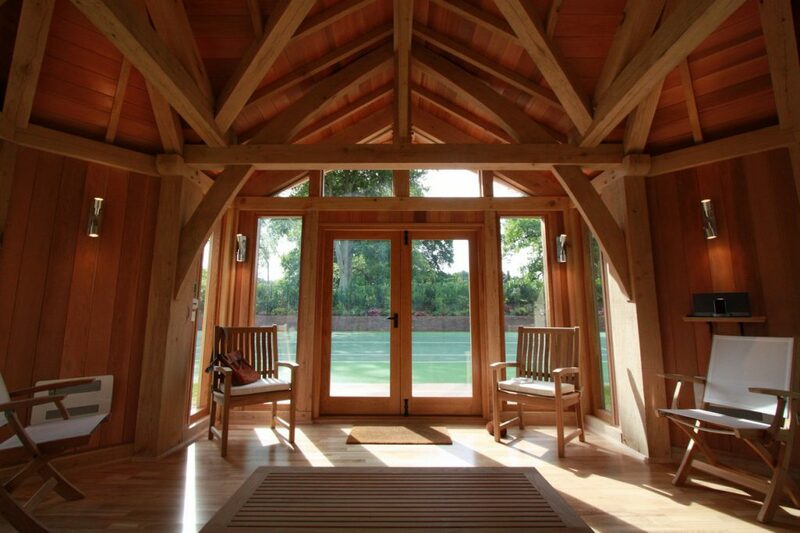 A long walkway swirls around the trees in a gentle incline, conferring a lightness to the tree house. 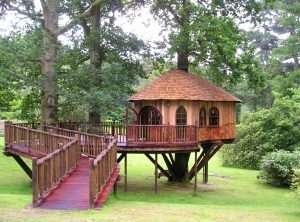 The Hideaway Tree House is the ultimate play and rest area. From the decks, the children find two different and fun means of access and escape: a slide, and a scramble net. The High-Tech Hideaway tree house was created with a specific brief in mind. 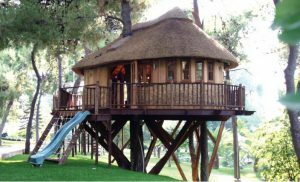 Not only did the client want a bespoke, luxury treehouse from Blue Forest, he wanted a James Bond style hideaway for his children to enjoy on his private estate in Athens, Greece.